I love fall and hate that we don't get to experience it in Miami. That's why every chance I get I visit New England in the fall. 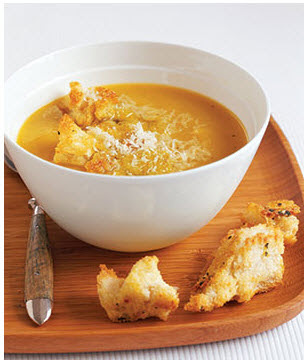 That butternut squash soup is making me hungry. Butternut squash ravioli! Love seeing that back on menus. 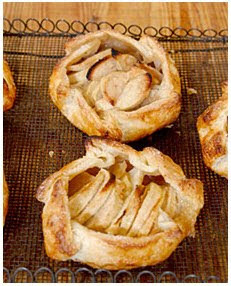 Those apple tarts look scrumptious! I so cant wait for the temp to drop below the 80's. the images make me want it even sooner. oh yes i'm in the mood for fall!!!!!!! hmmmm... i lit my (really ugly but oh so yummy!) yankee pumpkin pie candle to get me in the mood!!! i love this post!!! I love Fall and everything that comes with it =) Especially boots and sweaters! wow, now i need to make butternut squash soup! Lately, I have been loving grilled anything (as a last dash of summer), and the colors green and orange (but not together)! i am not usually a fan of the mums, but it does herald the start of the fall brigade! 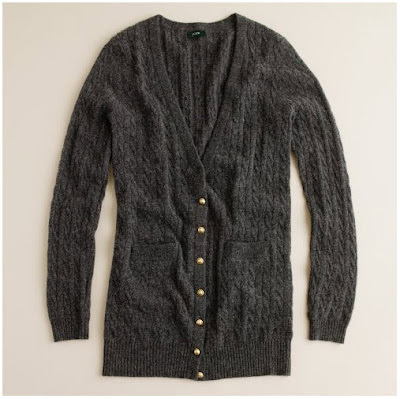 i wish i could wear that jcrew cardigan but it's still 90 degrees here, actually it's 80 but it feels hotter than that. i was in jcrew today and there is a pair of gray bootie moccasin thingy's that i absolutely MUST have, and they were only 88 dollars. I have never loved mums, but that photo is making me rethink that stance. All of your pics have me excited for fall. I could definitely go for the cardigan! Can't wait for it to get a little chilly! Those apple tarts look good!! I'd love to see your halloween invites. I get ridiculously excited about anyone who is even a fraction as interested in halloween as me. 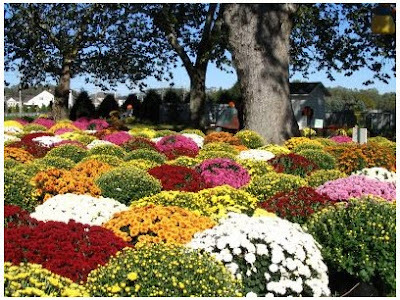 Nothing quite says fall like giant globes of mums!Great post, you have me looking forward to the cooler weather. Butternut squash soup and anything pumpkin spice are a few of the things that make me look forward to welcoming fall! I was just thinking the same thing about mums. They really do mean fall. They've been popping up everywhere lately! My favorite fall item has to be warm apple cider. I love it! It was even the drink that guest got as the enter our wedding reception. Yum. Sweaters (not coats), hot tea on a cold morning, the cold night air coming in through my bedroom window as I sleep and the leaves turning colors! I love when they put mums out!!! Yay for Jcrew sweater and that soup YUM! I love fall... and those apple tarts and squash soup look oh so good! Here in Michigan we have a bumper crop of apples! The later the season, the sweeter the cider. We love to go to cider mills and watch our containers fill with the cider, eat doughnuts, and feed the ducks in the pond. Then to cap it off, choose bags of apples and several pumpkins. Scrunching dry leaves with new boots is always fun, too, sigh. I'm trying to decide on a color for the Cambridge cardigan, thanks for the tip. Just wish it was cashmere but for the price it's a find. Just like this site, a real find! Totally with you on fall. I have to say my fall clothes are definitely my favorite.